Bold, lively, passionate, energetic, edgy, anointed and dynamic! All these words have been used to describe Purist Ogboi's ministry. The fast rising music minister & recording artist amazed the Gospel music scene with her hit debut album - 'The Encounter', in August 2016, arguably one of the best Gospel albums of 2016. 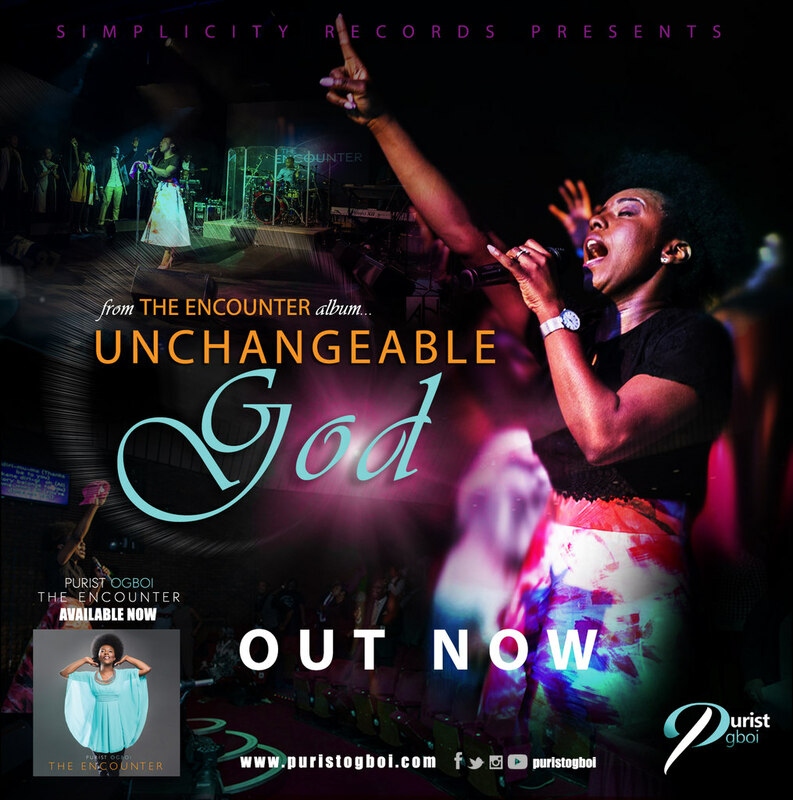 'Unchangeable God' is the fourth single to be released from her debut album, and it comes with a surprise twist. 'Unchangeable God' is a catchy reggae track which showcases another side of Purist and adds an exciting kink to the album. 'Unchangeable God' is described as a wonderful masterpiece which leaves a lasting impression on the listener, recorded LIVE at The Thameside Theatre, London, United Kingdom.